The hungriest worker in the Mastery Class is always going to beat the most talented guy who doesn’t put effort into the programs. Although it’s useful, talent isn’t everything. Of course, it will give you a head start, but you still have to work hard. So far, the experience is, that in the end, hunger, heart, and hard work always ‘wins’. Maybe not immediately, but in the end, hunger always wins. In the end, hard work always wins. Talent doesn’t guarantee you anything in the Mastery Program. Talent is nothing if you have no guts to submit videos in the ST Evaluation Program. The one who is hungrier to reach the top of the ST Pyramid will always get there before the talented guy. In the end, the one who is more dedicated to reaching the top will get there. It can make you think that you don’t need to study all those modules and lessons in the Mastery Program. It can make you think that you already know it all. It can make you think that you don’t need to submit videos in the ST Evaluation Program. Because you get so many likes on your Facebook or Instagram account, so what you do can’t be wrong. While you quit, I will work. While you quit, I will plan. While you quit, I will visualize. While you quit, I will believe. I will not stop, I will not rest, I will find a way to get to the top of the ST Pyramid. The ones who are hungry, the ones who put their heart into it, and work hard, will make it! They will be the change they want to see in the world. They will have a significant impact on the world! They will change the world! And the horses will benefit immensely from their impact. So it’s such a shame if you quit. If you dare to empty your cup and to widen, broaden, and deepen your work and get to the top, your 2 and 4 legged students and followers will benefit even more from what you will share with the world. I cannot benefit from an online lesson. The evaluator doesn’t understand my situation. The evaluator isn’t capable enough, because I’m better. 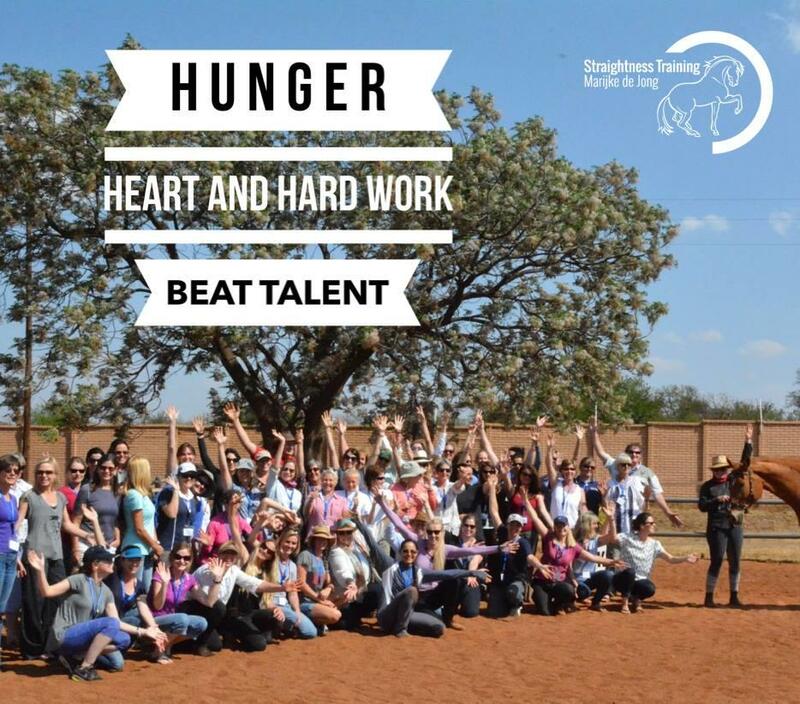 Don’t let the hungry hearts beat your talent. Hunger, heart, and hard work beats talent when talent thinks he is too good to work hard, too good to submit videos, too good to put their work in front of an evaluator. It’s just so easy to accept that level of quality as sufficient and settle for ‘good’. So no matter how educated, talented, or good you believe you are, don’t be too proud to get better.